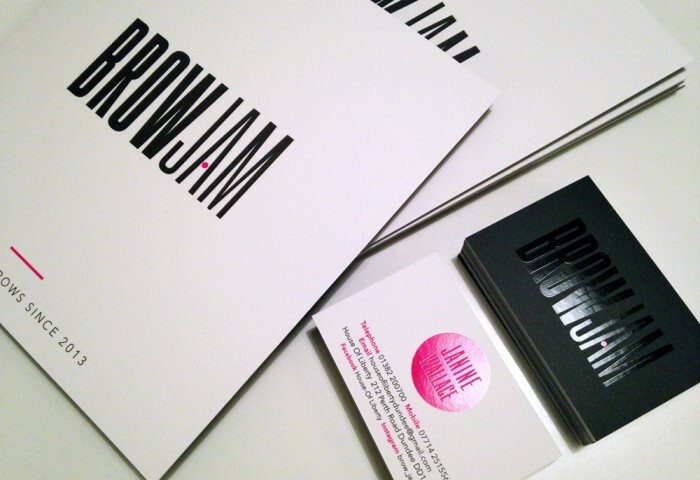 We’re going dotty at Kin HQ over these business cards and brochures that we designed and printed for Brow Jam at House of Liberty. Spot varnish applied to both sides of the business card for subtle detail and matt lamination on the brochure for a velvety touch. Great to do business with Janine and Kathryn, such lovely people to work with.